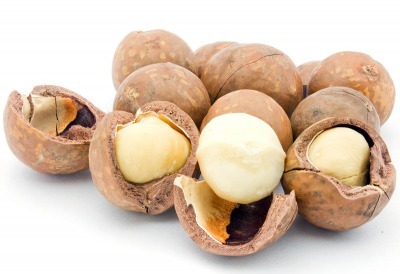 Macadamia is the nut with hardest shell. Its producers also assess it as the most expensive walnut in the world! The nut contains a very high amount of fatty acids which reduces levels of "bad" cholesterol in blood. This is healthy for heart, memory and appearance because of the content of B group vitamins and nicotinic acid, as well as phosphorus, potassium, sodium, selenium, iron and calcium. Macadamia oil contains approximately 22% omega-7 palmitic acid, with a well expressed antioxidant effect. Specialists claim that it plays a key role in reducing the aging process of the cell.